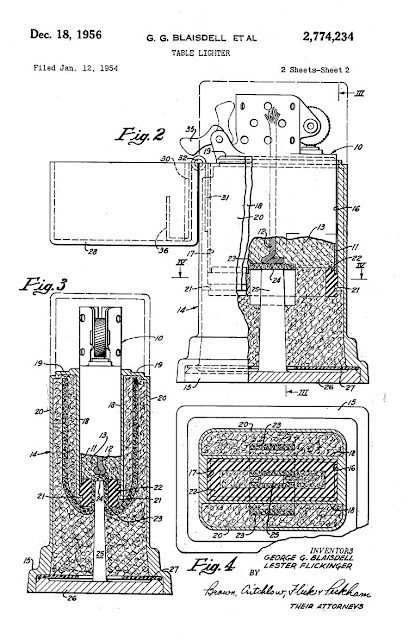 A big part of the vintage lighters was patented. 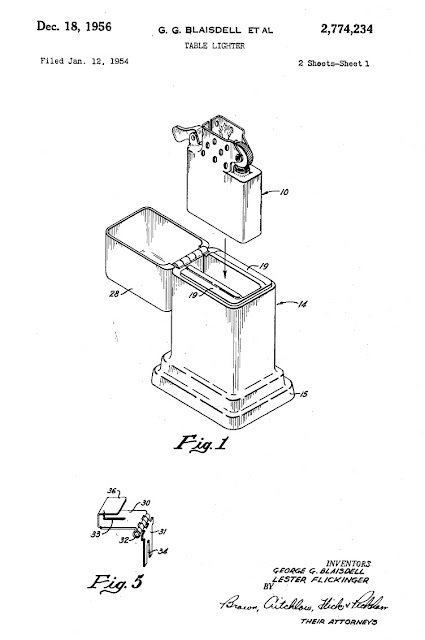 The most significant number of patents for cigarette lighters was filled in the United States of America, German, England, France and Canada. Next to catalogs and advertisements patents are a good reference for lighters collectors. In most cases the access to patent bases is free. 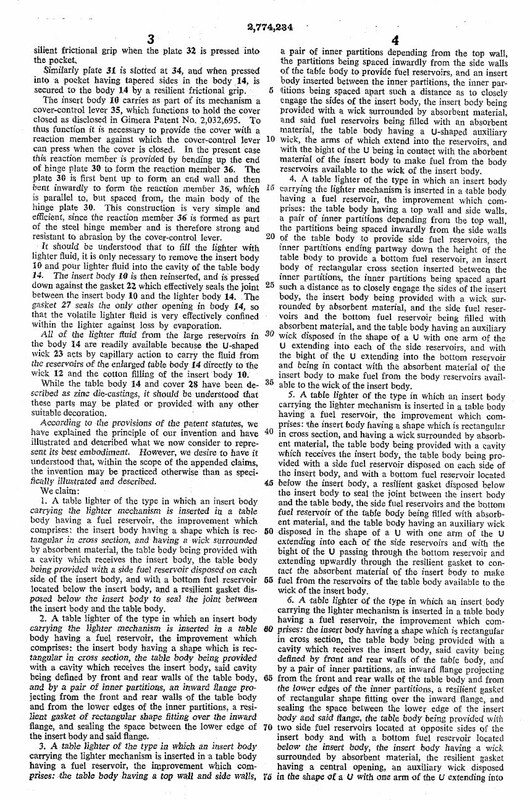 Below an example of a patent documentation for the Zippo Table Lighter from the 1956 consisting of five pages. The time is passing by and the "Table Lighters Collectors' Guide" is one year old! I am also happy to announce that this post has a nice round number 100. I assume that this is a good reason to sum up my activity. Money earned owing your contribution on clicking on the google adverts: $52. Thank you! Owing to this amount I have acquired two books on cigarette lighters that will help me sharing with you my knowledge. The blog was visited by people from 107 countries all over the world, most of them came from the United States (52%), United Kingdom (15%), Poland (6%), Canada (4%) and Germany (2,12%). I would like to thank all my readers for their visits, comments and 'clicks' which does motivate me to a better work. I hope I do fulfill your expectations and that I still have the power to improve this site. 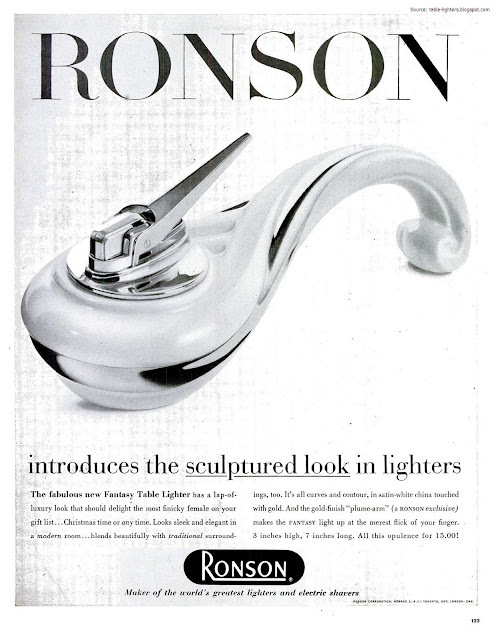 The Ronson magazine advertisement from LIFE published on the 29th of October 1956 depicts a sculptured table lighter with the Essex fitment - Ronson Fantasy. Not easy to get these days. 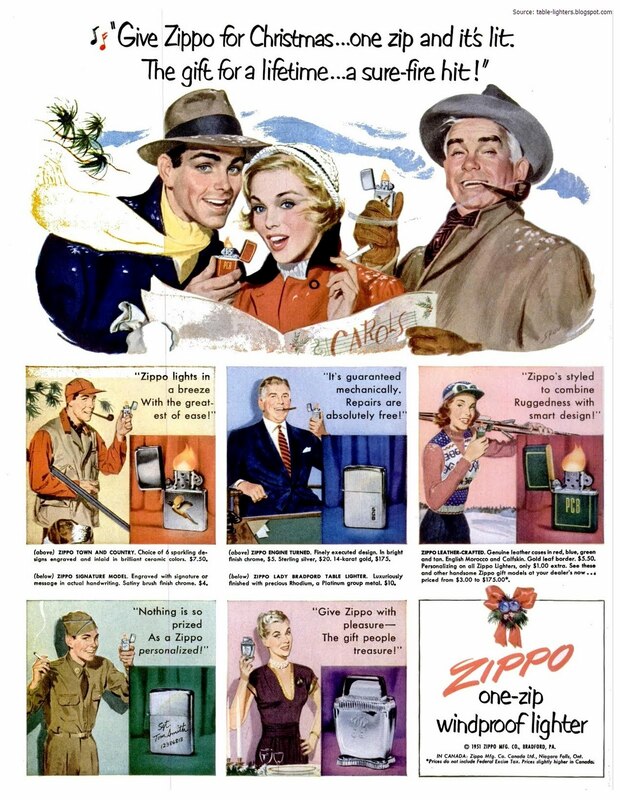 This Zippo advertisement was published in the Christmas edition of LIFE magazine on the 10th Dezember 1951. Beyond different Zippo pocket lighters one can see the a table lighter - the proud Zippo Lady Bradford which was introduced in 1949. The "Płomień" lighter was made by the Zygmunt Konopczyński's manufacture in Warsaw, Poland. 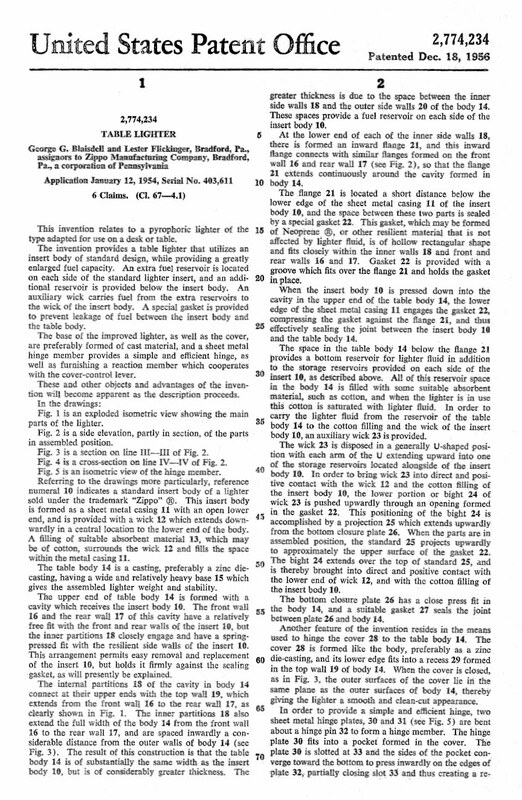 It was marketed in the inter-war era between 1924 and 1940. 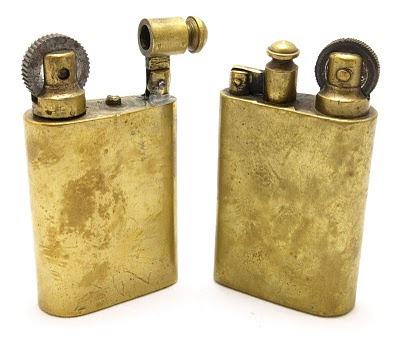 This lighter was a very popular lighter in the II World War and was perceived as the standard equipment of a Polish soldier. Despite of the big size this lighter was not produced for the purpose of a table/desk lighter. Rather as a pocket or bag lighter. The lighter itself is a simple construction made of gray cast iron and covered with a thin layer of brass.